The new lens delivers corner to corner quality on FX cameras and the Nikon exclusive anti-reflection Nano Crystal coat, together with seven ED glass elements minimises internal reflections and aberrations, ultimately producing rich, high contrast images, no matter what lighting conditions you are shooting in. 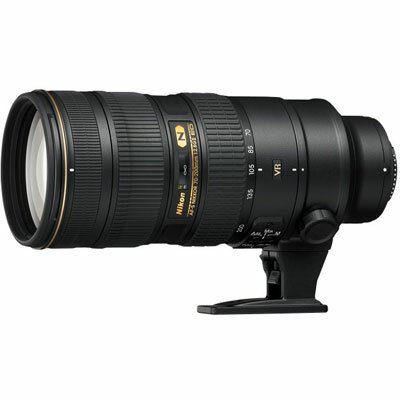 There are three focus modes on the Nikon AF-S Nikkor 70-200mm f2.8G ED VR II Lens; A/M; M/A and M. The new A/M switch enables autofocus priority even if the focus ring is being handled during shooting. The newly designed optics of the Nikon AF-S Nikkor 70-200mm f2.8G ED VR II lens allow shorter dimensions than the current version and don't compromise on the necessary durability. This lens is housed in a tough magnesium body and is extensively sealed to withstand the affects of dust, dirt and moisture.